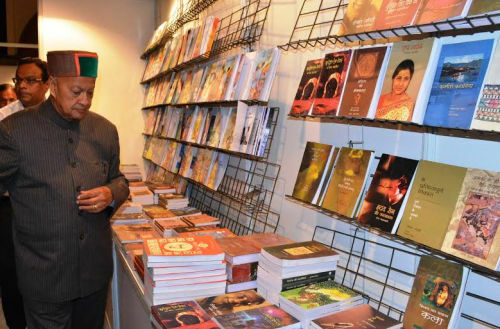 Six-day long book fair of National Book Trust (NBT) ‘Sahitya Chopal’ organised in collaboration with the Himachal Kala Sanskriti and Bhasha Academy started at Indira Gandhi Sports Complex, Shimla. Chief Minister Prem Kumar Dhumal inaugurated it. Addressing the inaugural ceremony Chief Minister exhorted book lovers to take benefit of the week long book fair where best selling editions by different publishers were displayed for sale and exhibition. He said that NBT had been established by the First Prime Minister of India, Pandit Jawahar Lal Nehru with a view to provide readers quality literature and reading material at affordable costs. He said that literature leaves deep impact upon the minds of its reader and helps in generating positive attitude. He said that books were best companion which not only provide company but broaden mental horizons of readers. He said that best books were also written in the time of distress when inner feelings take shape of literature and best of the writers’ talent turned into words. 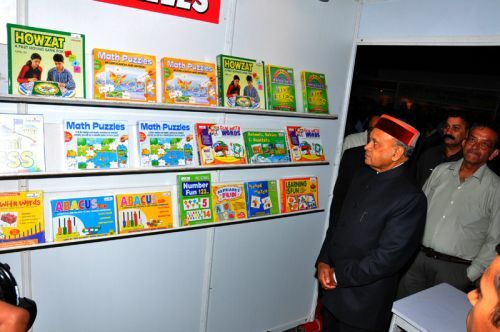 Chief Minister said that literacy rate in the State was amongst the best states of the country and such a fair would draw huge crowd of readers to purchase best literature. He said that good literature contributes a lot in shaping the minds of the people hence it was the need of the hour to inculcate habit of reading best literature. He said that although the internet had been responsible for withdrawing the reading habits of the people but still books had its own impact and popularity which is lasting and refreshing for ever. He congratulated NBT for organizing such an important fair in Shimla and invited them to regularly hold the festival in future as well where State would be extending full cooperation. Dr. Peter D’Souza, Director, Indian Institute of Advanced Study, said that Indians were the best book readers in the world. He said that books had the capability to introduce readers to a different and secret world. He suggested organization of book fair in Shimla annually. M.A.Sikandar, Director, NBT, welcomed the Chief Minister and thanked him for inaugurating the fair. He said that it was 55th Year of NBT during which hundreds of books fairs had been organised all over the country and abroad as well. He said that the objective behind organizing such fairs was to increase reading habits amongst the people and shape the minds of young people.